Xiao Fei Yang sound familiar to you? 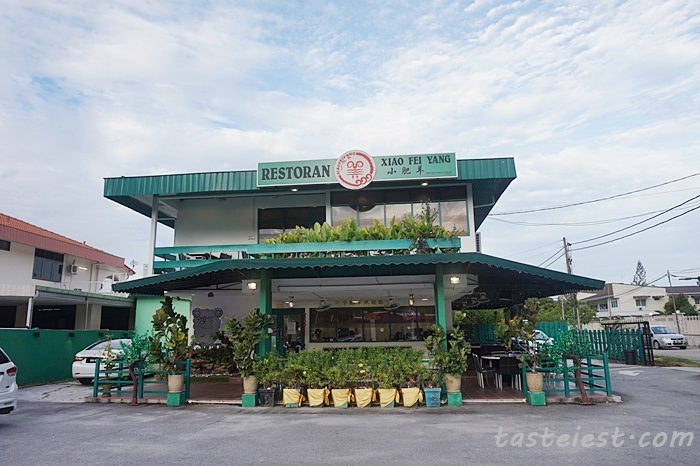 Yes, the famous brand of Steamboat restaurant is now available in Penang (Actually has been established in Penang for quite sometime). Occupying a bungalow lot just next to the famous Starbuck with ample parking space available right in front of the restaurant. Utensils provided here are charge for RM1, although it might sound odd to others but personally I more than willing to pay for a clean set of utensils. It is very clean with high temperature disinfection and vacuum wrapped for maximum hygienic. 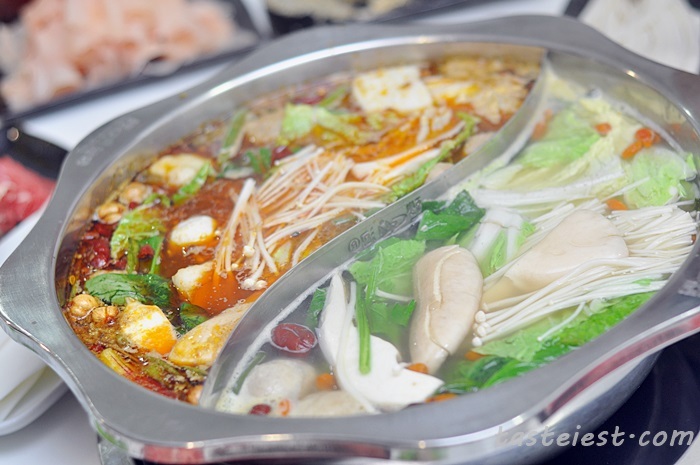 Only two type of soup available Hot & Spicy Soup(Mala) or Clear Soup. If only one type of soup selected Hot & Spicy Soup RM28 and Clear Soup RM26, for dual soup RM27. 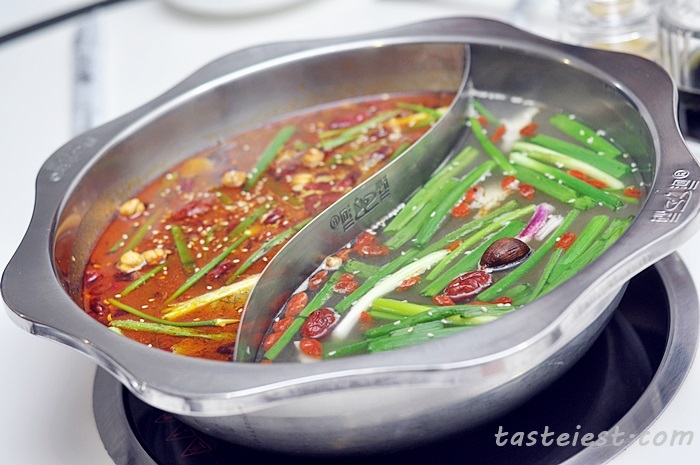 The Hot & Spicy soup doesn’t really taste that spicy as I expected which has been adjusted to cater for local taste bud but personally I hope they make it more spicy and numb as how the original SzeChuan soup should be while the clear soup taste has mild herbal taste which are boiled with assorted herbal for more than 12 hours. I would strongly recommend to order their Set Package which cater for 4-6 person and cost only RM168++, drink are included. 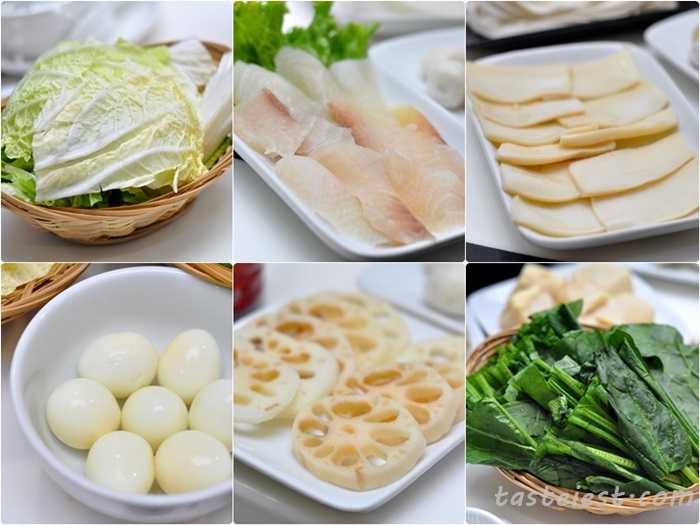 The set package come with 2 appetizer which are Fried Luncheon Meat and Golden Bao. 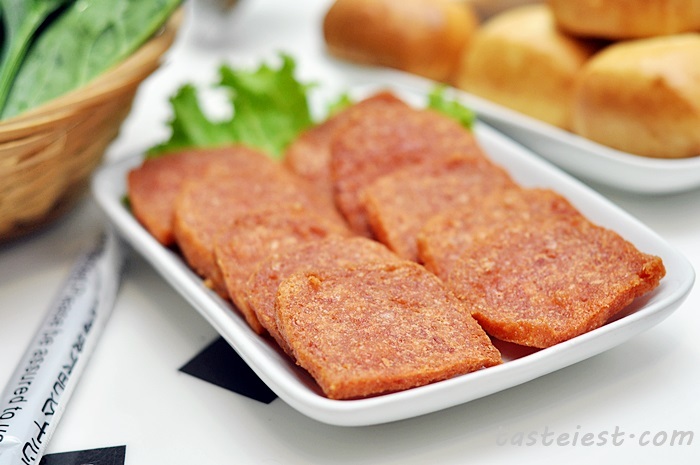 Fried Luncheon Meat are surprisingly good, crispy outside and soft inside. 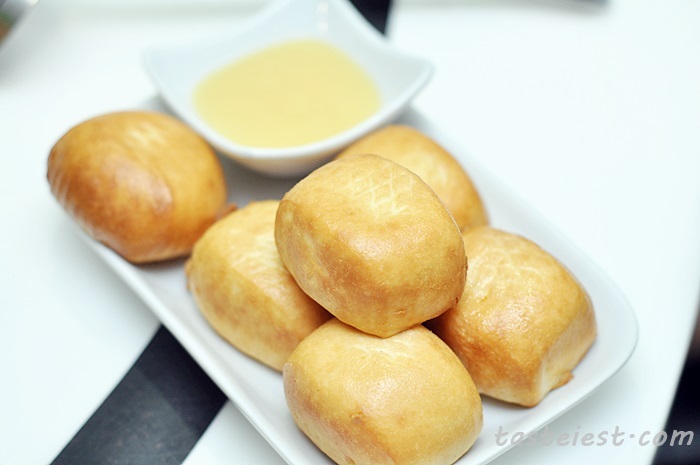 Golden Bao served with condensed milk, nicely deep fried Bao (man tou) to golden color dipping with condensed milk is just perfect. 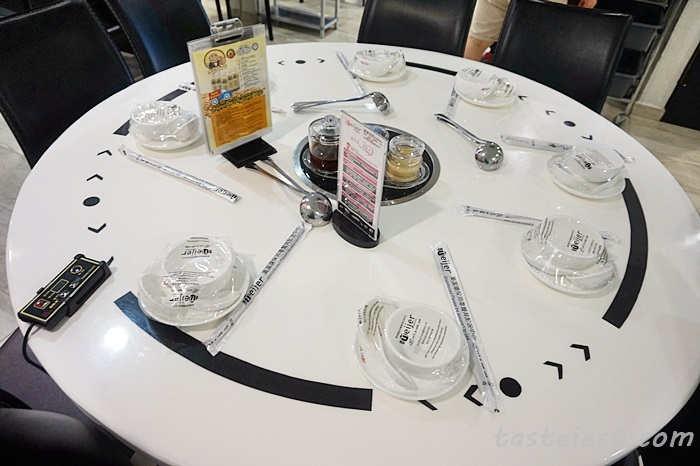 While waiting for our steamboat to be ready, the waitress served us special mix dipping sauce that included all dipping sauce provided on table with add on white vinegar. It is very important to have a bowl of great dipping sauce for steamboat and they nail it, one bowl is not enough for us, it is really good. 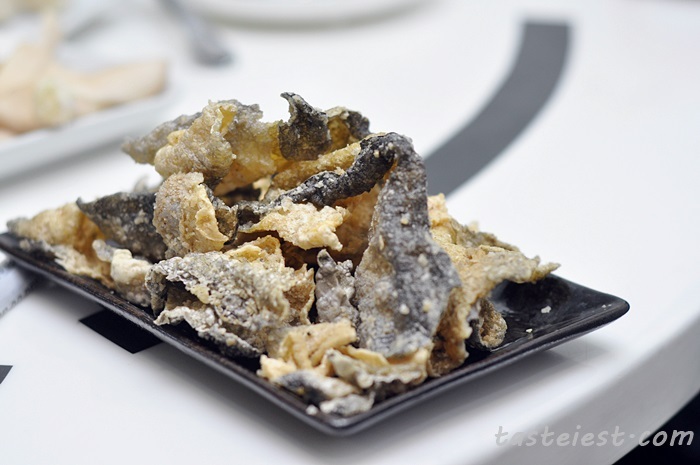 Deep Fried Patin Fish Skin RM10/set, perfectly deep fried patin fish skin to extremely crispy texture is just great for starter, it can be dip into Hot & Spicy soup for even better flavor. 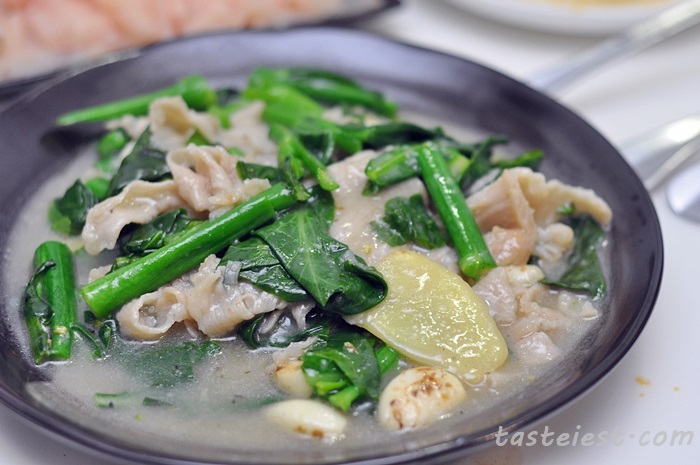 Stir Fried Kailan with Pork Neck Meat RM25/set, great use of pork neck meat that is extremely soft and smooth to cook with Kailan, thin slice pork neck meat fully absorb gravy and eating together with crunchy kailan is just awesome. We had quite a crazy night with lot of food filling up our table, who to blame? The long list of menu is so attractive, we just can’t stop making more and more order on top of set package. 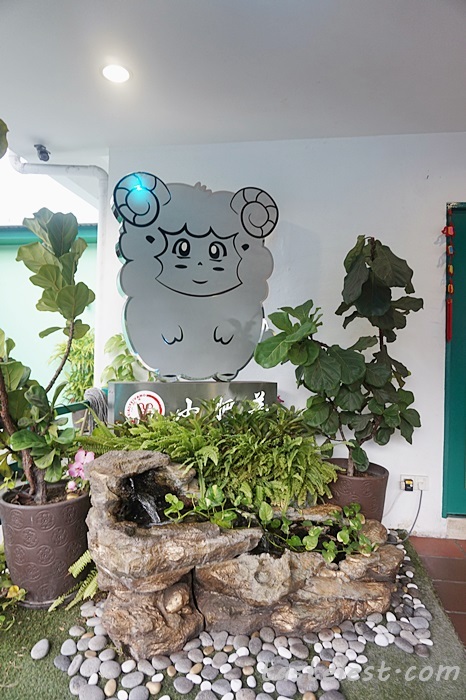 The menu consists more than 100+ steamboat ingredients which break into seafood, meat, balls, vegetable, bean curb, dumpling, mutton, snacks, mushroom & fungus, noodle and drinks. 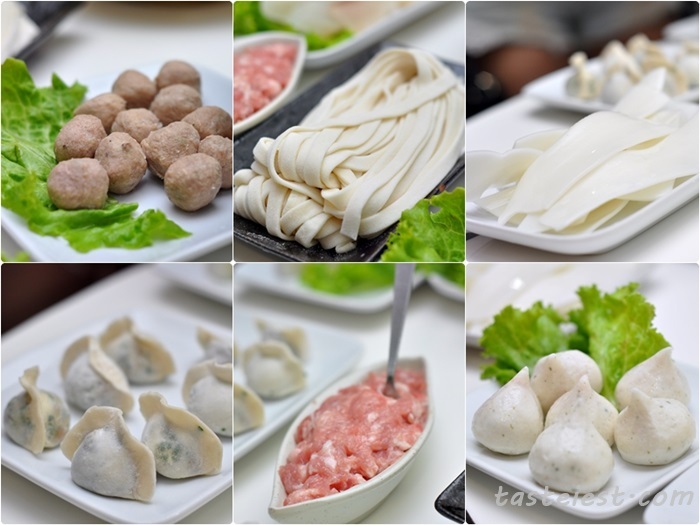 Overall ingredients are fresh and a few items that we would like to highlight such as Chinese Dumpling RM6/set which has very springy skin with great flavor meat filling that goes well with Hot & Spicy soup, Fei Yang Noodle RM5/set which is something new to us and we never try before, it has chewy texture. Cold Bean Curb RM4.50/set, thousand layer of bean curb frozen to create a cube shape, it is good in absorbing steamboat soup and the texture is very smooth. 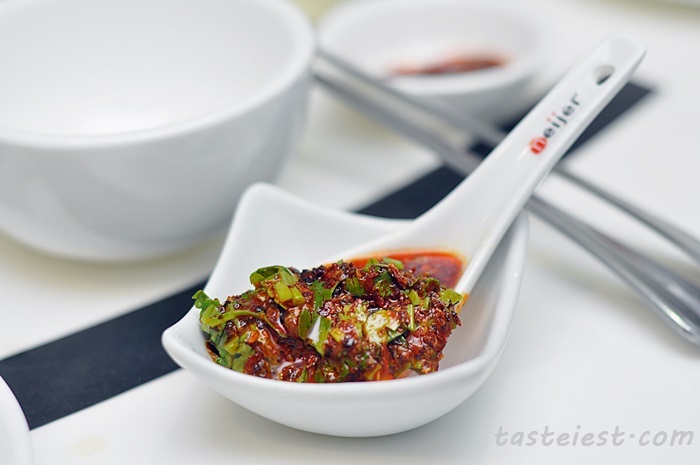 Exploding Beef Ball RM7.50/set, chewy beef ball fill with broth that are extremely challenging, it really EXPLODE and freaking hot but with I just love the texture and flavor very much, challenge taken! 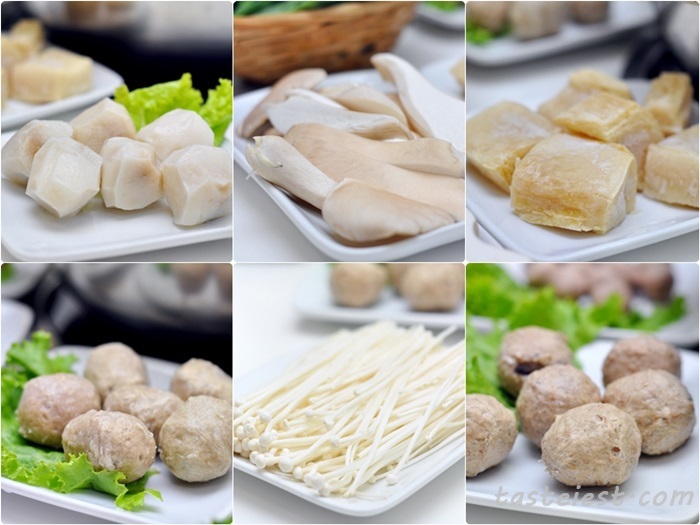 Another type of ball to recommend is HK Mushroom Pork Ball RM10/set, chopped pork mince together with slice mushroom to create the flavorful ball. 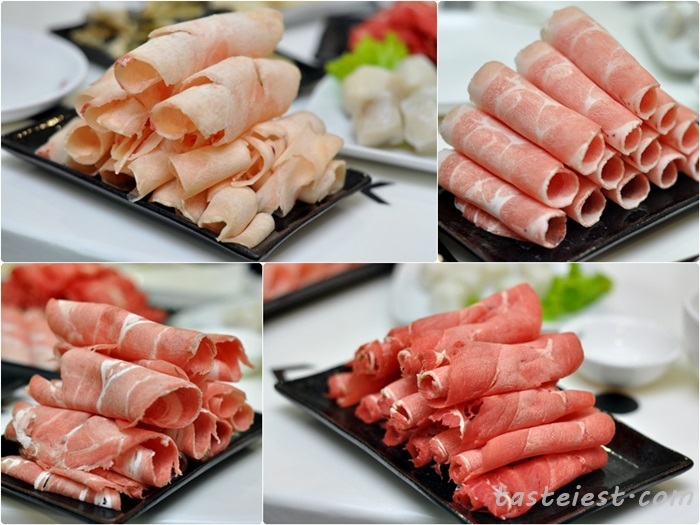 Assorted slice meat available such as port, beef, chicken and mutton but those are not special. 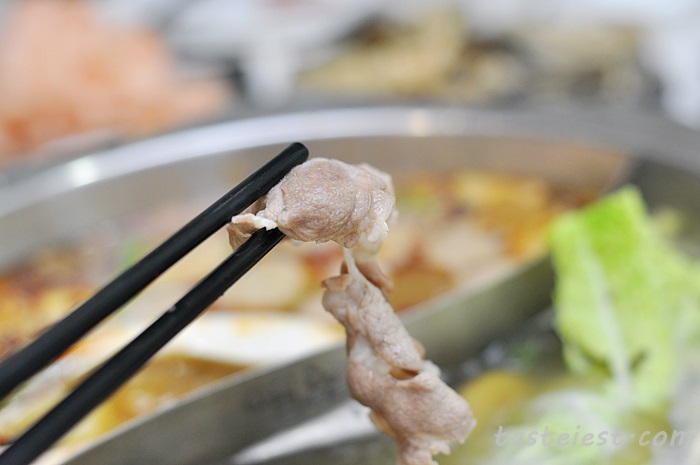 The special Mongolia Sliced Mutton RM25/set is a must order dish, fresh slice mutton import from Mongolia that has better texture and taste, it is very smooth with a little bit of mutton smell. 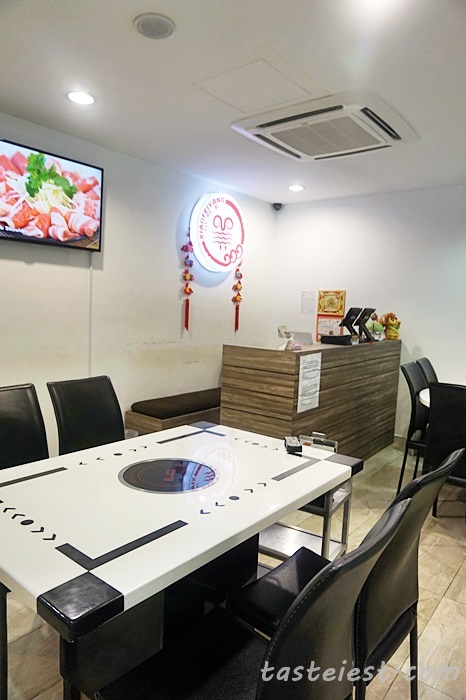 We enjoy dining at Xiao Fei Yang Steamboat Restaurant very much with the great variety of ingredients and excellent service.